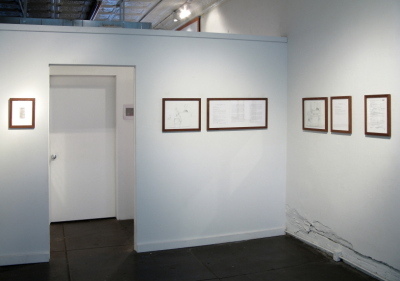 Kristin Lucas' Refresh was a performance initially staged in 2007. Lucas filed to legally change her name from "Kristin Sue Lucas" to "Kristin Sue Lucas" as a way to 'refresh' her self. She appeared in front of a judge in California to petition her case. The work now exists as a transcript of the court proceedings and other paper ephemera related to her case. Since 2007, Lucas has staged numerous readings of the transcript. "I am here to be born again as myself, or at the very least, the most current version of myself." 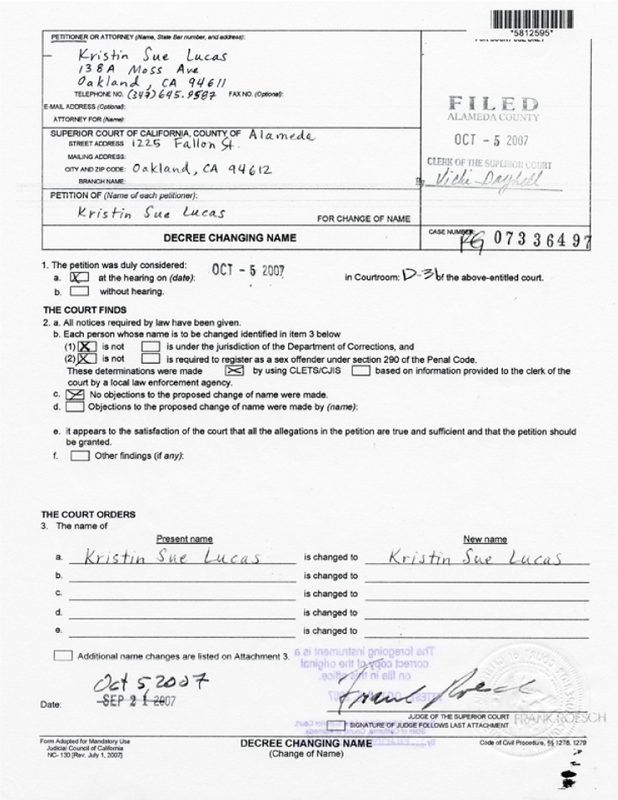 In the fall of 2007, Kristin Lucas filed with the Superior Court of California to legally change her name from "Kristin Sue Lucas" to "Kristin Sue Lucas." The proceedings unfolded over the course of two weeks. Lucas was required to make a public announcement of her request and then to appear in court to explain her reason for asking for a name change. Lucas explained that changing her name would be like refreshing a webpage. "For me it feels like a change would take place the moment between a name that exists and then rewriting the same name.If I write my name over and over on a page, my name is different every time I write it. Because it's, it's about time, it's about experiencing it as the moment." Lucas' explanation and the judge's attempt to understand it gave way to a legal and philosophical debate about the nature of change. Can a change be unobservable? 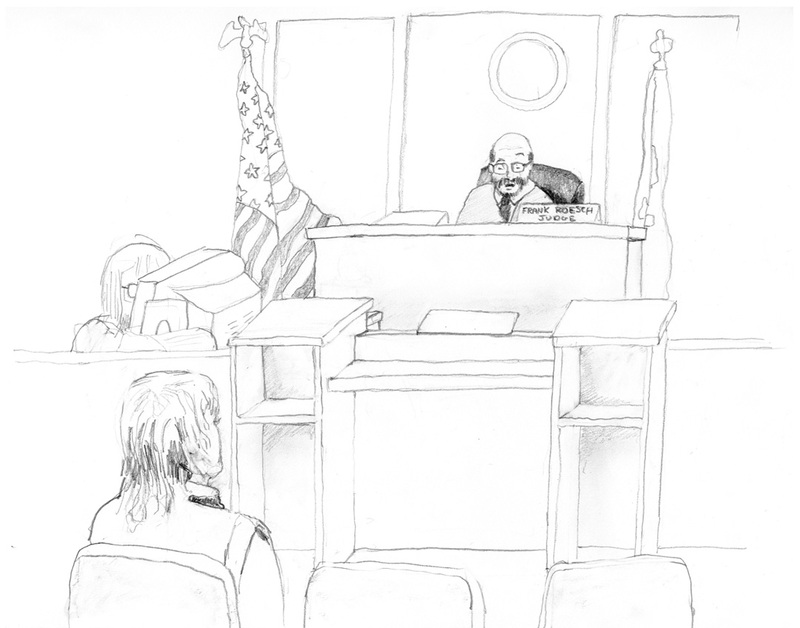 By law, can a judge mandate a change that appears not to be a change at all? Two weeks after the initial hearing, after further contemplation, the judge granted Lucas her name change. An otherwise fleeting performance, Refresh lives on as a widely circulated transcript. The text is available online and was published as a book in 2010. 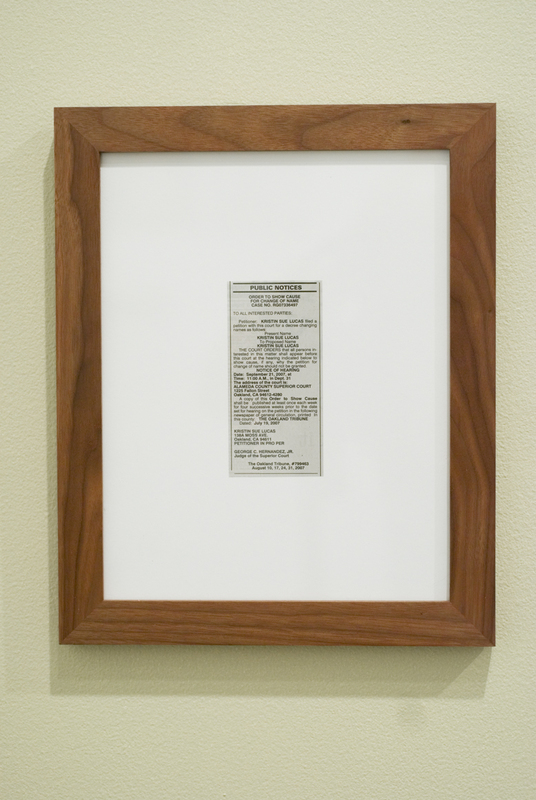 Lucas has exhibited the documentation of the performance, including the clipping of her announcement in the newspaper and the official paperwork, in multiple exhibitions. 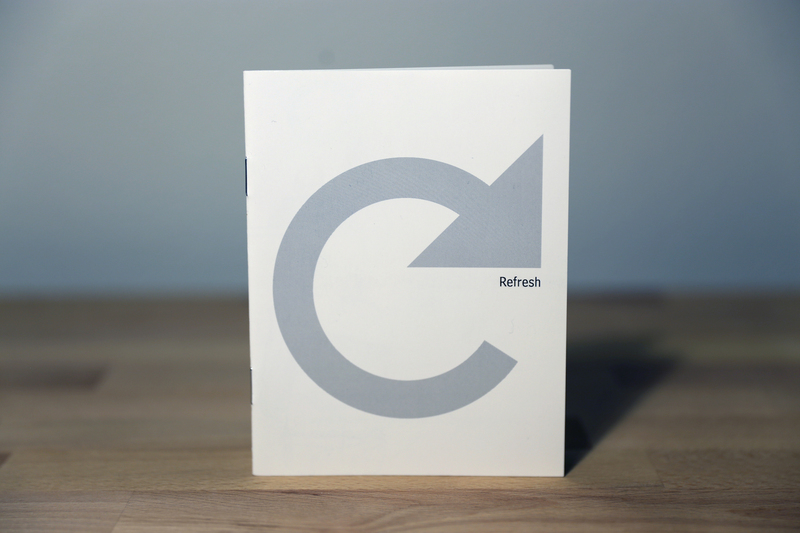 Since 2007, Refresh has taken on another dynamic life through the re-performance of Lucas' hearings. Deemed Refresh Cold Reads, the series of performances creatively restages the hearings. The first cold read took place December 3, 2007 in Berkeley, CA. The Refresh Cold Reads often presented variations on the idea of a reading. Some were participatory, like a 2010 reading at the New Museum where museum visitors were asked to perform impromptu readings. Others toyed with methods of delivery and presence, skyping or phoning in participants. 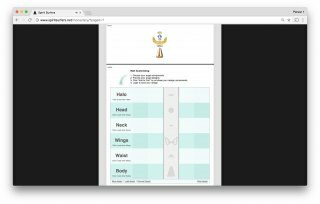 Refresh in all its various forms, is a meditation on the technologically-mediated body. Lucas' appropriation of the language of everyday experiences of the web highlights a shift in the relationship between the internet and embodied experience. Lucas's 'refresh' signals that the two are no longer simply intertwined, but that the logic and mechanisms of the internet structure the offline world.